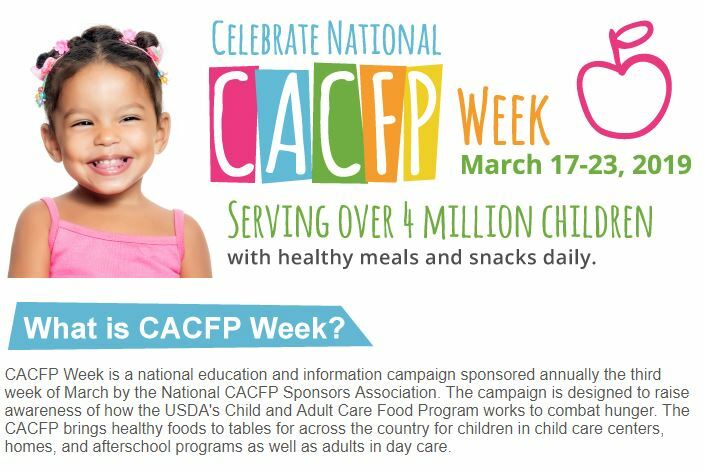 In honor of CACFP Week 2019, March 17-23, Wildwood would like to celebrate the providers that make the CACFP possible. Wildwood will be giving away a $25 gift card to your local grocery store every weekday of CACFP Week! What do you have to do to be entered to win? Simply leave us a comment on our Facebook page, www.facebook.com/WildwoodCACFP, letting us know your answer to that day's question! Every weekday is a new chance to win, so don’t forget to leave a new comment every day! Winners will be announced the following day.